To help you plan when to expect your order, you'll find an estimated availability date listed in the product details for each item. This is calculated the arrival date based on the approximate number of days required to process, package, and ship your order. If you place your order before the cutoff time (2pm EST) on a regular business day (Monday through Friday), your order will begin processing that day. Orders are authorized for payment when submitted online or via phone and your order will not be charged until it ships out of our warehouse. Please make sure that your billing information submitted to Timepiece.com corresponds to the address where your credit card statements are received. This address should also be the same address that your credit card company has on file. If you are not sure of your correct billing address, please contact your credit card company for details. Billing and identity information submitted to Timepiece.com that is inaccurate will delay the shipment of your order. Please Note: When using a credit card or debit card, depending on bank policy, your account may reflect deduction of funds immediately upon order for the total amount of your purchase. This verifies the necessary funds are available for the purchase of the item. Orders may be subject to Timepiece.com verification procedure. For your protection, you may be asked to verify that you are the card owner, or that the order information is legitimate. Should your order require verification, you will be notified by phone or email. For this reason, it is imperative that you provide us with both your current daytime and evening phone numbers, as well as your primary e-mail address. This may include a request for a copy of your credit card (front and back), which can be transmitted by fax or e-mail. Timepiece.com reserves the right to refuse an order when the address or credit card is not verifiable, as well as in the case of coupon errors or pricing mistakes. If you receive a "declined" error message when your order is placed, you must contact your bank. Timepiece.com has no control over these error messages; they are submitted from your bank's online authorization system. There are numerous reasons explaining a "declined" message. Usually, credit cards have an online spending limit, and you may contact your bank to grant permission for the online transaction. After the bank temporarily lifts this restriction, feel free to order the item online again and proceed to checkout. If you will not be home to sign for your order, Timepiece.com can ship your order to your place of work, or another more convenient destination. As a security precaution to protect our customers against fraud, when you order merchandise an undisclosed amount, we will confirm that your credit card or financing company has this alternate shipping address on file. To help expedite your order, simply call your issuing bank and provide them with your alternate shipping address. Shipping rates and methods are dependent on the item(s) you purchase, destination of your order, and the shipping method you select. All domestic orders will be insured and shipped free via UPS or USPS. Following shipment, orders will arrive within one to six business days (Monday through Friday). On a case by case basis, Timepiece.com will only ship to a street address, not a P.O. Box address. If the delivery of your package is delayed or postponed due to circumstances beyond the control of Timepiece.com, such as the re-routing of delivery based on mechanical difficulties or severe weather conditions, Timepiece.com will not hold liability or refund the shipping charges. Please Note: You will receive an email with tracking information by the end of the business day your order is shipped. We are proud of our military forces and are more than happy to ship to APO and FPO addresses via USPS Priority Mail. I live outside of the United States. Can I still order from Timepiece.com? You can place your order online for the item you want to purchase. We are also pleased to offer international shipping to most other countries which usually range from $20 USD and up. All international shipments are fully insured and shipped via UPS or USPS. If for any reason we are unable to ship your package without full insurance, we will contact you prior to the shipment�s release. Please note that your order may be subject to additional verification of address or product availability. If more information is needed, you will be contacted by a customer service representative. To expedite the processing of your order, please be available at the phone number or email address you provided so that we are able to contact you. If our verification department is unable to reach you, your order may be delayed. If your order is not approved, you will be notified of your cancelled order status via email. Note: Shipments to certain countries may incur additional charges such as a Value Added Tax (VAT) or a Goods and Services Tax (GST) on goods received. Please contact your local customs office for an estimate on taxes needing to be paid before ordering. Also, we must declare the amount that you paid for your order on the invoice included with the shipment. We are unable to declare the item as a gift, when shipping. If a shipped order was lost or damaged, you will need to contact Timepiece within 5 business days, so we can start a investigation with the shipping party responsible for delivery the order before reimbursement or replacement can be given. Shipping investigations usually varies between 10 - 60 business days. If the package can't be located, UPS or USPS will process a claim for the package. Claims can take up to two weeks to process. When the carrier claims responsibility for the loss or damage of your shipped item(s), insurance reimbursement will be issued to Timepiece.com and the replacement item(s) will be shipped out. If the item(s) is no longer available, and a similar item is not wanted, Timepiece.com will gladly refund your original payment. In the unlikely event that goods are received with damaged packaging, such as outer boxes, cases, instructions, manuals, etc. 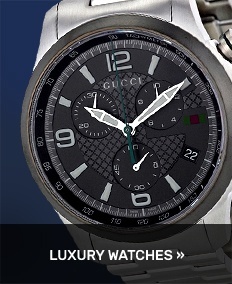 Timepiece.com reserves the right to replace the original packaging of products sold herein. 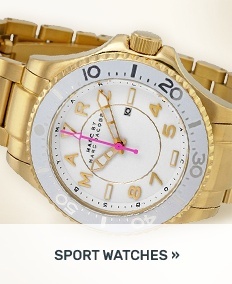 Timepiece.com cannot guarantee a replacement of the manufacturer�s original packaging. Contact one of our experienced customer service agents for assistance at 877-497-1232 or e-mail us at support@timepiece.com.